grubstreet's printed books can now be ordered on-line with any major credit card. Visit our new order page here  or use the "Buy Now" buttons on any of our book pages. The Voice Inside Me is a long-awaited memoir from inside mental illness by national magazine award winning writer Elizabeth Ikiru. Described as "harrowing, moving and important" by Guy Vanderhaeghe, the book offers a rare first person account from inside the head of a manic depressive. 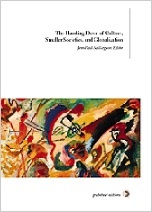 grubstreet Editions is pleased to introduce The Handing Down of Culture, Smaller Societies and Globalization, a newly translated collection of essays published in honour of the Québec scholar Fernand Dumont. This collection, originally released in a French edition titled Transmission de la culture, petites sociétés, mondialisation by Les Presses de l'Université Laval, is available to read in full on our web-site, either on-line or as downloadable PDF files. "Globalization raises many questions. The most acute deal with the global homogenization of culture  the danger of seeing local, regional, and even national cultures fade out, in favour of the productions of multinational cultural industries. "Canada and Québec are among the front-line societies concerned with protecting and promoting cultural diversity. "The major writings about this question have been done by sociologists, political scientists or economists. Now, in this volume, French and English speaking university cultural researchers have been asked to present their reflections on the handing down of culture in smaller societies, in a context of globalization, based on their research and personal experiences." Torontos eye weekly magazine has discovered grubstreet books  specifically, grubstreet author Morris Wolfes book Menya: an end of life story, about his daughters terminal illness and palliative care, and Elizabeth Ikirus memoir of manic depression, The Voice Inside Me. eyes feature is available to read on-line. This wide-ranging collection of essays, articles, columns and reviews by respected writer Morris Wolfe covers a period of 30 years, and ranges over subjects from television to magazines to the politics of academe. The full text, including previously unpublished material, is available to read on-line. This memoir of her familys flight across Europe, the fates of her parents, and her subsequent life in Canada, is now available on this site. Read it here. When Menya Wolfe chose to spend the final months of her terminal illness at home, supported by family and friends, the staff and volunteers of Trinity Home Hospice took on a major role in her life. Now, Menya: an end of life story, a book about her palliative care, is giving back to Trinity Home Hospice. grubstreet books is donating a share of the proceeds of sales of the book, by Menya's father, Morris Wolfe. A first payment of more than $750 was presented on June 30. Menya: an end of life story, by Morris Wolfe, was launched on February 18, 2003 at Enoch Turner Schoolhouse in Toronto. Nearly 100 family and friends of the palliative care community took part in a memorable evening of music, readings and memories. Noted activist June Callwood spoke about the hospice movement. 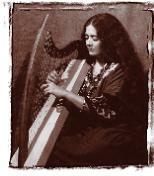 Singer and actress Randi Helmers, who was one of Menyas caregivers, performed, as did harpist Janet Gadeski. More than 80 memorial banners created from Menya's clothing and jewellery by her aunt, Linda McKague van Will were on display. grubstreet books is pleased to introduce Richard Matthew Simpson's memoir Squatter's Rites. The book is a sort of modern-day Walden that probes the interior and exterior worlds of fourteen months spent homeless in a woodlot north of Toronto. The full text of the book is available now to read on-line, free of charge. Simpson, a widely published nature photographer, currently lives in the hostel system in Toronto. Watch for The Voice Inside Me on Richler Ink with Daniel Richler. The book's editor, Morris Wolfe, appears alongside Ontario Lieutenant Governor The Honourable James K. Bartleman, an advocate for mental health, as part of a panel on Writers and Depression. The episode was first broadcast in 2004 and will be repeated. Both Menya: an end of life story and The Voice Inside Me appear on the Richler Ink reading list. Morris Wolfe continues to speak to palliative care groups, book clubs and the media about his book Menya: an end of life story. There have been feature interviews on Fine Print with TV journalist Carolyn Weaver and on CBC Radio's Fresh Air with host Jeff Goodes. Contact us to arrange a talk by the author. The book is on sale at these events. Elizabeth Harrison Ikiru was born in 1949 and married in 1970. Her two children, Zoë and Matthew, were born in 1972 and 1975. In 1976, she suffered the first of many emotional collapses, the beginning of a harrowing period of mental illness. In 1983, after she returned to Toronto and began treatment at the Clarke Institute, her condition improved. 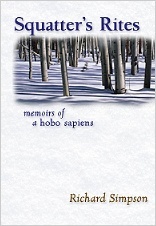 She began to write about her illness, with rare insight. Her first article, published in Saturday Night, won a major award. Elizabeth Ikiru died in the spring of 1987. 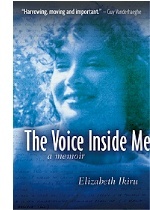 Her only book, The Voice Inside Me, was published posthumously by grubstreet books . Richard Matthew Simpson is a keen observer of nature, a published professional photographer, widely read and, since the age of twenty-one, a writer. Beginning in 1956, when he joined the U.S. Navy, he has traveled in the Orient and the Americas. Following an expedition to central Amazonia in Brazil in 1991, Simpson moved into a shelter in Toronto, Canada. A life of few outside commitments allowed him the time to devote himself to his writing. Squatters Rites, released as an on-line book on the grubstreet books website, is his first publication. An unpublished book, A Season in Paradise Gardens, is an account of his expedition to Amazonia. Morris Wolfe is a writer and editor. He taught part-time at the Ontario College of Art & Design between 1971 and 2001. Wolfe has written, edited and co-edited eleven books, including A Saturday Night Scrapbook; Aurora: New Canadian Writing; Signing On: The Birth of Radio in Canada; Jolts; and OCA 1967-1972: Five Turbulent Years, which was also published by grubstreet books. His essays, articles, reviews and columns have appeared in numerous Canadian magazines and newspapers. In 1994 he won a Canadian Association of Journalists award for investigative journalism.